You're always welcome to come along, Rob. You could color off a lot of states that way. Heya Mike, any luck uploading those videos? A couple of you were asking about the turn signals I have on my bike. Here they are...I think I actually found them at a local dealer for cheaper. But they are still much cheaper than suzuki OEM replacements! I didn't have to modify anything on the bike (other than splicing the wires to the new signal). If memory serves, these signals have a metal backplate that I drilled a hole in to install. I'm pretty mechanically declined, so if I can do it, anybody can! Next project I have to tackle is my piss-poor headlights. They must be filled with black dust, and the blocker for the low beam has slipped, making the low beam completely useless. That will probably be a winter project so I can re-order whatever I break in the process. And yeah Mike, where is that video??? I have 2 uploaded now. I will post the links soon. high comp pistons, gsxr cam, ported head, full exhaust, fork brace, rick forks, penski shock. Hey...lookee what I found on youtube! It takes a long tome to upload those. Some are 200mg. I am doing more right now. Well... damn, you're right. I never noticed that link on YT before. Cool. Hey awesome Mike! That little thing works pretty well! 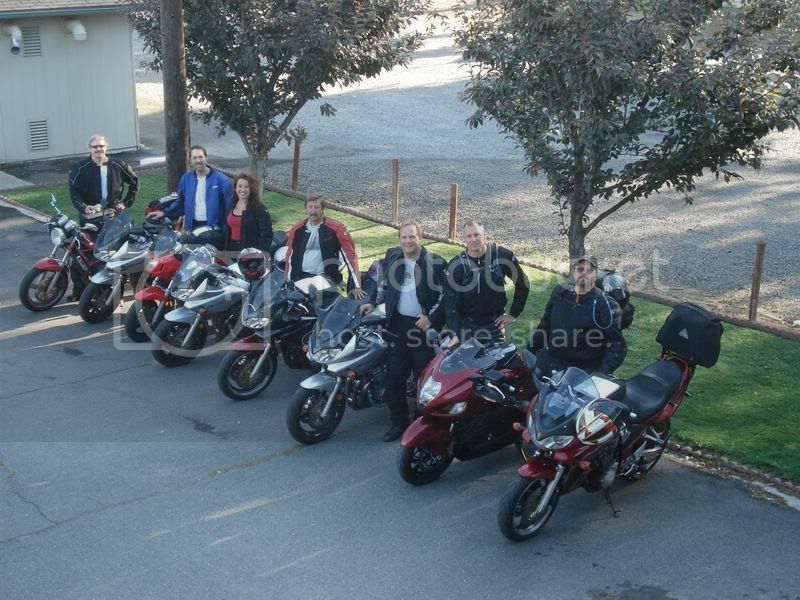 andrewsw(b4), Nick2k(b12), Chandita(b6), pmackie(b6)only the helmet!, mobilemike(b12+), Cargo7(b12), Bobcat(Haybus? ), Red01(b12). 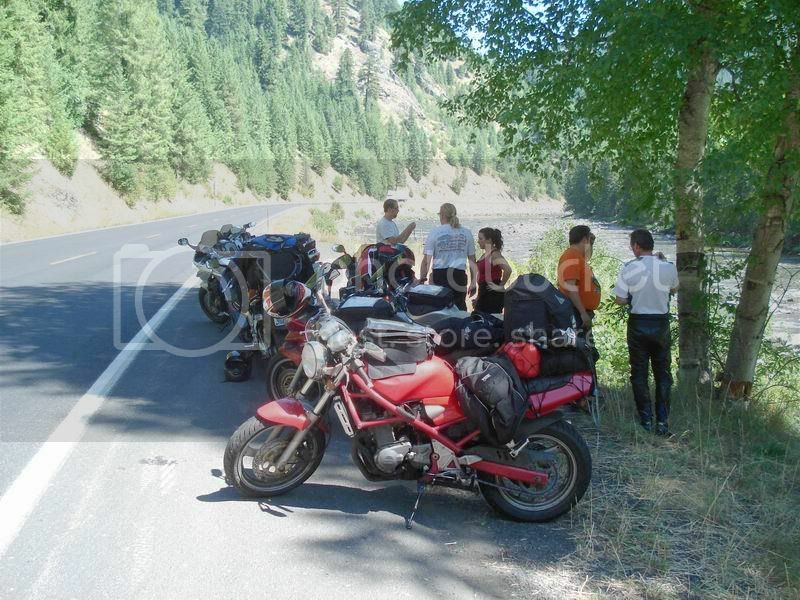 and a good picture of andrewsw's B4 as we stopped on the Lolo for a break, and for some a roll in the river rocks. A great time was had by all. Let's do it again, soon. SS Brake lines, EBC HH pads, Leo Vince Ex & Kappa bags. nice to see some more shots. The overhead from the hotel is very nice! I agree, good bunch, good time. Definitely do it again and soon. I noticed Mike has a couple more videos up now. Chantal and I are headed to Winthrop on July 16-17-18 if anybody would like to join the fun. We could have some great fun on Hwy 20!